Jar type for parties use aroma candles are kind of art candles generally used in church, wedding, party or bars etc. The jar candles could be in various shapes acording to different shapes of jars. Also jar candles could be produced in many colors or fragrances like flower fragrance or fruit fragrance etc. Feature: white or colored, scented or unscented, at request. Delivery: within 30 days after deposit received. Located in Hebei, China, hometown of white & color stick candle. White/color stick candle, spiral candle, tealight candle, birthday candle, glass jar candle, pillar candle, citronella oil candle, LED candle, etc. Q2. What's the delivery time ? Q3. 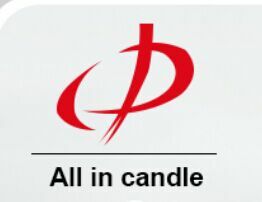 Sample candle available or not?